As we slip inexorably toward winter, it is pleasing to reflect for a moment on the summer, some part of which I spent in southern Germany, with a brief foray into Austria. This is from that Austria trip. This photograph was one of many taken in the Austrian Alps, during a cable-car trip up, and a walk down, a mountain – always better that way round – near a town called Ellmau. 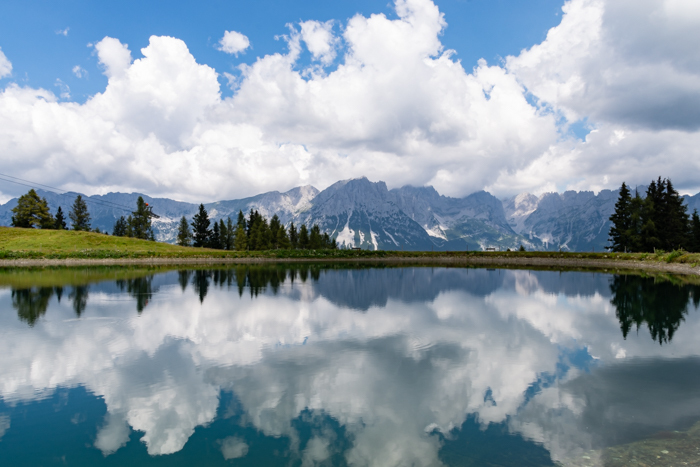 The area is best known as a winter skiing resort, but in the summer it is a place of beauty so breath-taking that it defies worthwhile description and that even the camera cannot fully capture. You really have to be there.